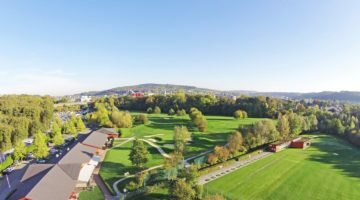 Surrounded by a beautiful natural landscape, this cultivated 18-hole course is located in Zumikon. Most greens are well defended by bunkers and water hazards, which together can make for a very challenging game. Elevated tees and the many and varied height differences constitute additional difficulties. 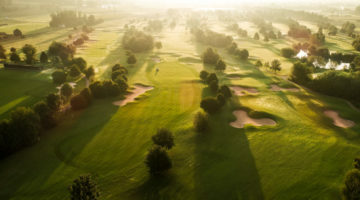 If you’re looking for an opportunity to improve your technical skills or just enjoy a relaxing round of golf, come and visit the Zurich Golf & Country Club. During the week guests are welcome. Please phone the office in advance. Member’s guests are also welcome on weekends. ASG-Club-, ASGI-Membership, Membership of Migros Golfcard or a international recognized golf club membership required. Confirmation of a Handicap 24.0 or less is required. Each guest can only play 3 times a year on this course. 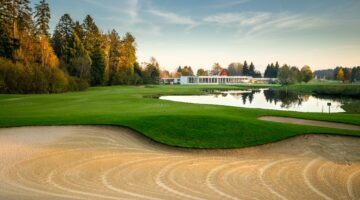 Members of golf clubs: Breitenloo, Dolder, Hittnau, Luzern, Niederbüren, Schönenberg are 10 times a year allowed to play on the course. Use of phones is prohibited on the golf course. Let faster players past. correct dress code. Do not use Metal spikes.